I wouldn't go in expecting a Tenchu game. This is a new twist on the Soulsborne formula. Better git gud at parrying. Any ideas the OT Subtitle. You’re doing the Lord’s work my man. Thank you. Reviews 6 am Pacific on Thursday, btw. Guys if all goes well i will be playing this on Wednesday. Wish me luck! Of course i will update you on the game accordingly! Of course i will update on the game you accordingly! This is the first truly painful game for me to pass on this year. Looks like it has some of what made me love the Tenchu games back in the day, but a whole lot more of what makes me love the Souls games. Basically a combination of two of my favorite series. Too bad the release timing coincided with when I am going to be out of town for a few weeks, so I won't get to play it until early April. Finished and enjoyed all of the Soulsborne games but....I never successfully parried an attack in any of them. I'm hesitant about this one. Yup I can't parry worth a crap either. I haven't decided if I am going to get this one yet. for me I had to learn parry, it helped me beat Orphan of Kos in Bloodborne’s NG+. I am a master at parrying. man i can't believe it only 4 days until the new From game!! squeee!!! Will be perfect for mixing in with my Division 2 sessions, breaking up the grind. As much as I've enjoyed the Souls series I can't slog my way through another one. I might come back for BB2, but I'll give this one a miss. I lost the count of how many ng+++++ I did and all chalice duns in BB and still don't proper master the parry. Are people finding it so hard to master the parry in BB due to frame rate issues? I'd imagine to consistently hit the parry you'd need a consistent frame rate? 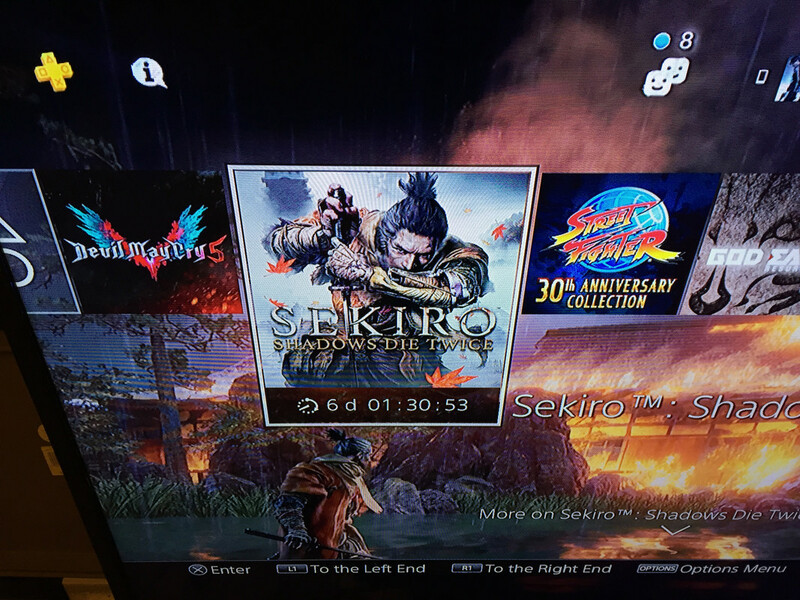 I've given up on Sekiro being locked 60 on either console but hopefully it'll be a locked 30 fps at least because the parry looks essential in this game. Pre-load is up on PS4. Its sitting at 16.82 GB, which seems rather small. I apologize for the potato cam footage. 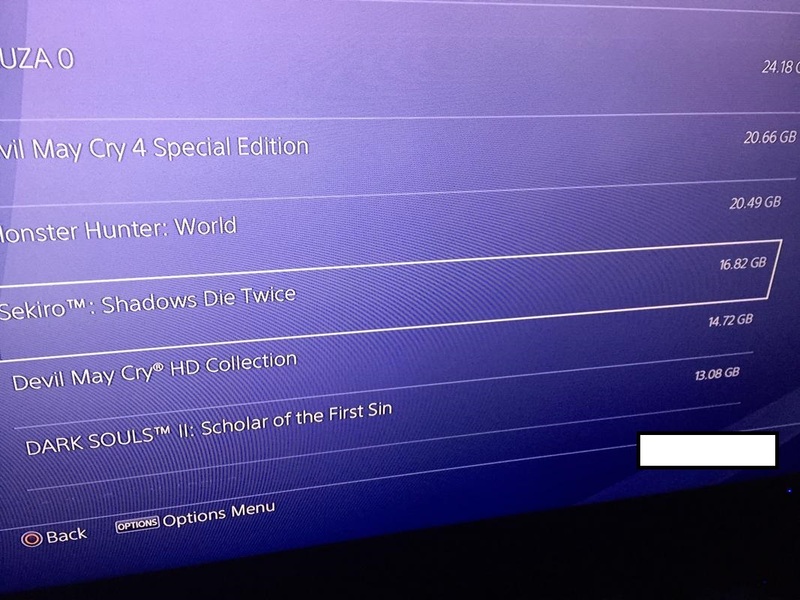 Interesting, all those games on your list have a good amount of content are similar sizes. A bit more spoiler in this one so skip if you wanna go blind. Are people finding it so hard to master the parry in BB due to frame rate issues? BB had some FPS issues but it wasn’t bad enough to prevent me to do parry. Hardest part is the timing, you need to shoot your gun when the enemy is about land his attacks. Ah good to hear that FPS dips weren't an issue. It sounds like a lot of the combat in Sekiro is based around timing your block to successfully parry your opponents attack. Like I said earlier in the thread I think I'm going to be practicing that parry over and over early on to try and master the timing of it. Hey guys, when should the OT go up? Have you decided for a Title already btw.? it always is. these games were built on timing. the entire strategy for every combat is knowing the enemy's moves, and in responding to those moves in the proper time windows. when you respond you dodge roll, you parry, you play those precious i-frames into a position of advantage and then you immediately hit them with everything you've got. but whatever you choose to do, you must get that timing right. timing is the key. ultimately it's just a matter of practice, when fighting a tough enemy, you learn your mistakes cumulatively through every death, when to stop being offensive and go for the defense, spotting their attacks and weaknesses with visual acuity, your eyes and hands working in synchronization w the game. it is like batting or pitching in baseball, an instantaneous performance of a finely tuned machine. through repetition & coherent rulesets, these games are natural teachers, turning you into a ninja. now we can play as one! If there's anything I've learned from Bloodborne, my only way of standing a chance is to grind one area I learned a thousand times before proceeding. I either lack the skill or the ability to figure out these games without help so I go in OP and completely fail. Then youtube somebody killing a boss with minimal effort, smash my head into a wall, and repeat with my OP character seems to work. I'm going in fresh. Total media blackout from me at this point. Parry in bloodborne has its own unique twist. You use a gun to parry! Is quite difficult to master, especially in pvp. It is hard because of the huge variety of enemy types and chaotic pvp.